Our protagonist is the main character in your story but he/she is surrounded by other characters in various settings. These characters are called supporting characters. Some of the supporting cast will be main characters and their role will be almost as important as the protagonist’s in the plot. Others will have a much smaller part to play but they are still essential. Walk-on characters will appear to give the feeling of authenticity to the setting. 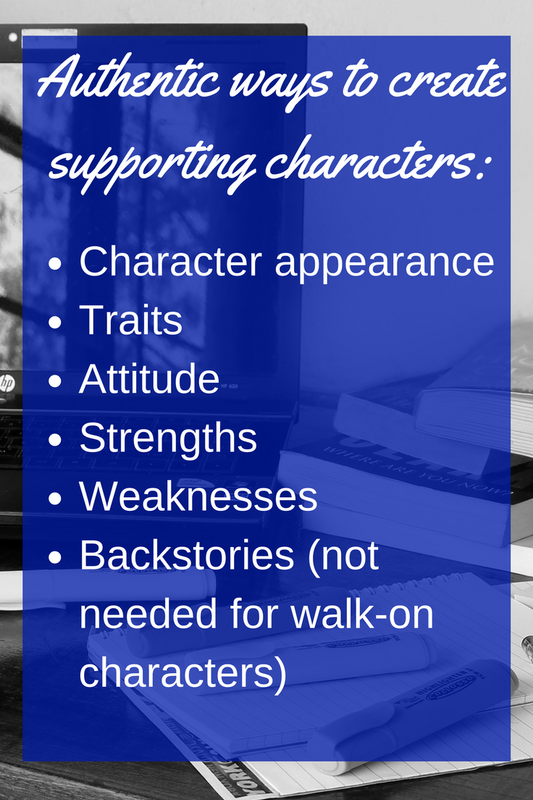 Your goal is to create a supporting cast that aids your protagonist and the plot. Your main characters need to hold their own against the protagonist. The Wizard of Oz – Dorothy had the scarecrow, the tin woodman and the cowardly lion. Gone with the Wind – Scarlett had Rhett Butler, Ashley Wilkes and Melanie Hamilton. Sherlock Holmes – Sherlock had Mr Watson. In all these cases the protagonist finds a problem in being paired with the other main character or characters. Though they are enhanced by the contrast as well. Characters can come from nowhere, others from dreams or from everyday experiences. Most often, writers are said to use a real person and make them change into someone who exists only in the novel. As you create main characters, ensure they contrast to the protagonist in some way. Each character, including the protagonist, needs to be distinct and use the differences to drive the plot and form conflict. 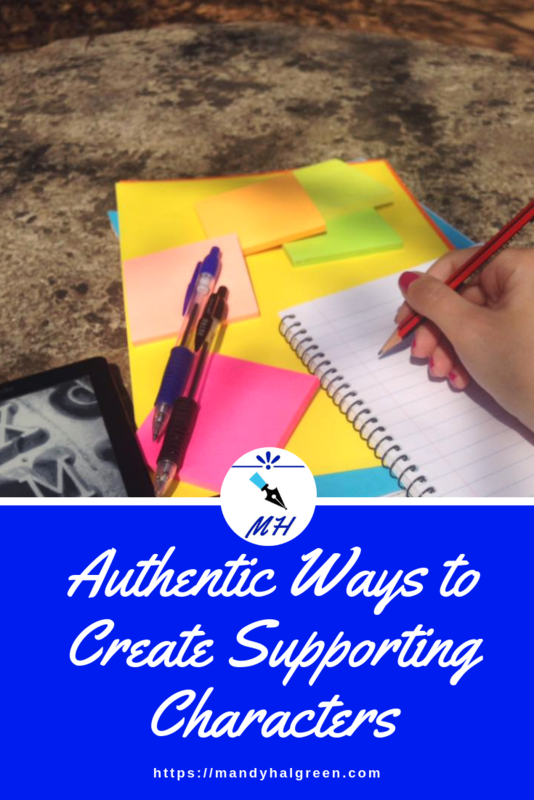 You create the supporting cast in the same way as you create the protagonist. In many novels, one of the characters plays the role of villain or antagonist. Their goal is to obstruct the protagonist from reaching their goal. The villain in your novel cannot be purely evil – they need to have some aspect to their make-up that makes them appealing to readers. Try to understand why your villain does what he does. Consider the motivations (greed, jealousy etc.) but go a step further and get in their head – so to speak – and see the protagonist’s goal from their perspective. A villain’s actions must be rationalised! The villain’s backstory must help in making him the way he is too take the time to sketch out your villain with as much time as you used on your protagonist. What does the villain want? How does the villain see the protagonist stopping him in reaching his goal? How does the villain explain his own motivations to himself? When they are believable they are much more interesting to the reader. Creating the backstory is essential in understanding your villain! A character who had no redeeming qualities and is all bad is an old-fashioned cliché – avoid it! Novels have a range of supporting characters – it is said you need to have 20 characters before you being a novel – it’s up to you. Every one of your characters needs to be on the page because they have a purpose in telling the story. If a supporting character has no role to play, consider dropping them from your novel. Supporting characters are less important that main characters and as such they require a lot less planning. They are often defined by their relationship to the protagonist. Some characters can be planned in advance – other show up as you write, initially as a walk-on or minor character and take on a more meaningful role. 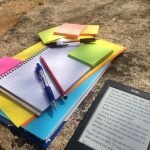 You do not have to plan for these characters – unless they come in at a very important time in your novel – it is inevitable that you will have walk-ons in your novel. Some minor characters will have names and all will need a sense of physical presence. The attention you pay to them determines how important the character is to the protagonist and the story. The supporting characters also need names but consider making them fit the person. Your readers will need to keep them straight, so try to make them unique to each character. Nicknames are easy for readers to remember and give an insight into the characters personality. Names can be found in baby name books, in census lists from the past and present, the telephone directory or Google. Create a list of name you consider ‘keepers’ and add to it as you find new names. Help the readers keep the names straight by giving the characters distinctive names. Avoid giving names that start with the same letter. Don’t give a character two first names. Pick a name that is appropriate to the time or setting. Vary the number of syllables in the characters names. Avoid picking names that sound similar. It’s a good idea to keep an inventory of your characters and their names along with any features they have. It can be of great help especially if you have characters that only appear sporadically.